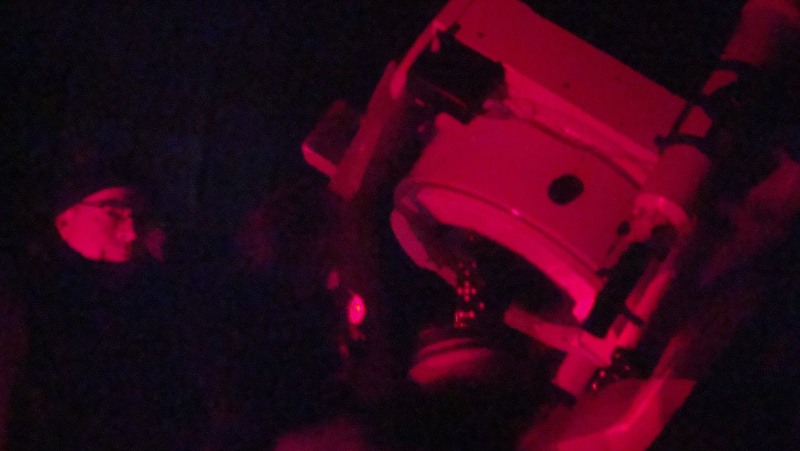 This time, we will be offering a study of star clusters. 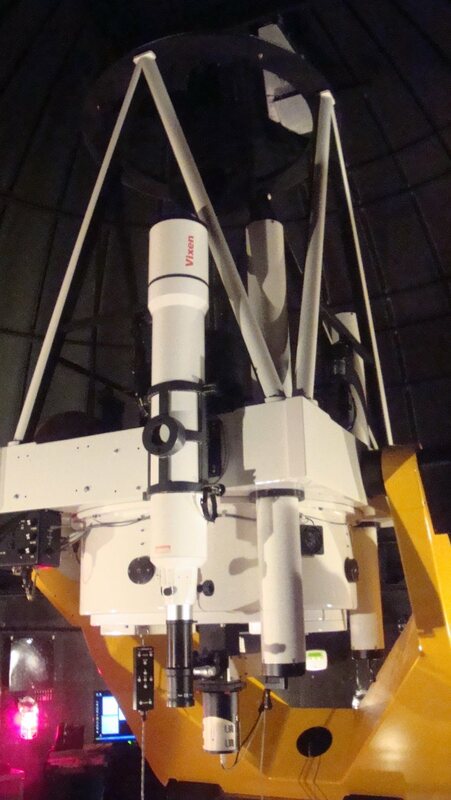 We will have the big telescope trained on many of the various types of beautiful star clusters visible at this time of year, and offer a study session of each. A great learning opportunity, especially newcomers to astronomy, or to anyone who simply loves the beauty of star clusters! Finally! 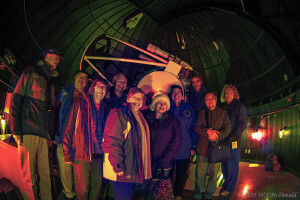 We caught a well-deserved break in the weather for the UVic observing session last night. 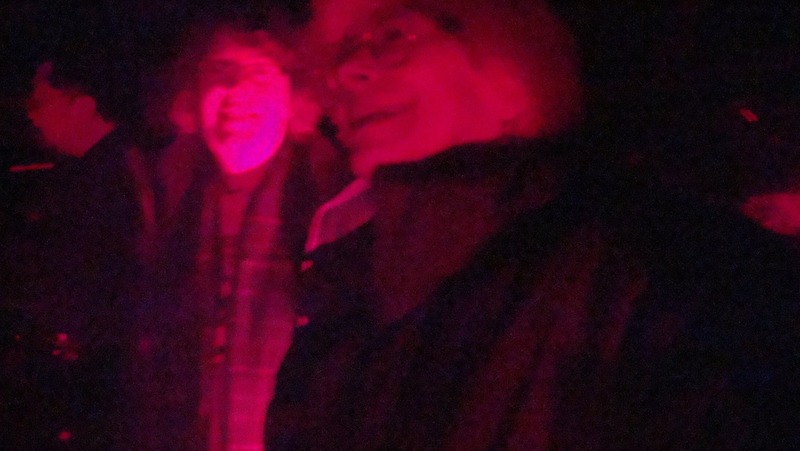 John, Chris, and I were joined by Miles, Reg, Les, Barb, Diane, Lauri, and David for a tour of and dozen interesting open clusters, finishing off with a lovely view of M42. Despite the ridiculously bright (unshielded) lights from Centennial Stadium and some significant mist, the viewing was terrific. Or, maybe it’s just that we haven’t seen stars for so long it just *seemed* terrific? Nah. It was great! Thanks for coming out everyone, and thanks to John and Chris for helping host these sessions, and to Reg for his weather prognostications. You nailed it! We will announce the next session, hopefully in January. 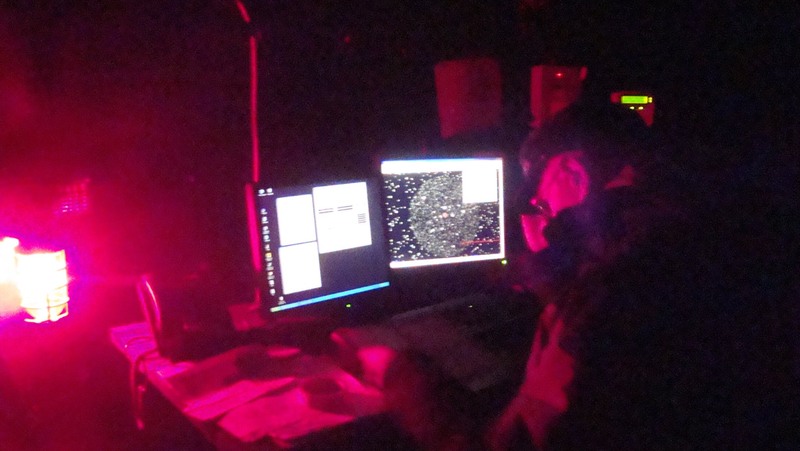 We had a good session at the UVic Observatory last evening observing open clusters across the Milky Way. 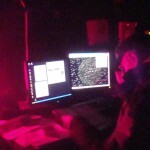 A list of the clusters and photo of the observers are attached. 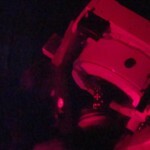 We also had a look at Pleiades and M42. Those attending were David Lee, Diane Bell, Reg Dunkley, Miles Waite, Lauri Roche, Leslie Welsh and Barbra Wright. It was Sherry’s idea to follow a theme for the evening and that seemed to go down very well with those present. 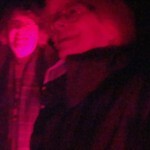 The hosts, Chris, Sherry and I plan to do this again with galaxies being the focus next time. There’s something nice about a clear night in the middle of a December “wind and rain” parade !! 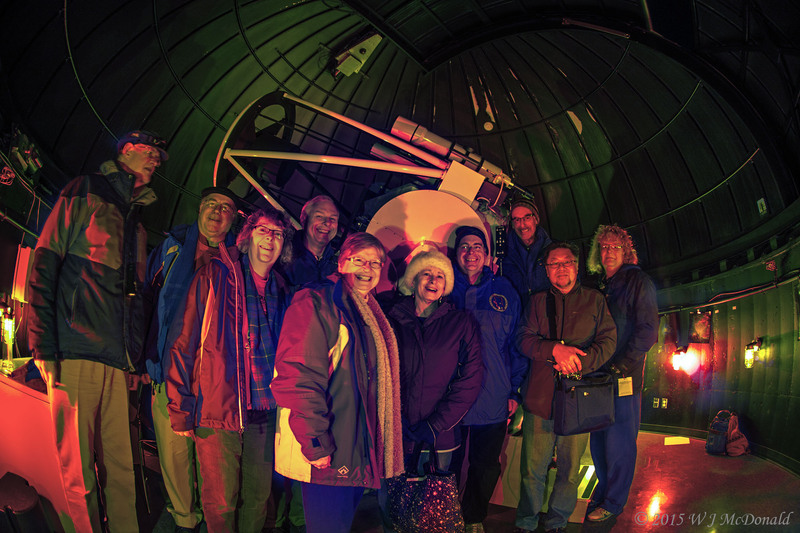 Several members joined John McDonald and Sherry Buttnor for a lovely evening under the 0.8 meter reflector at U-Vic’s Bob Wright Building. We enjoyed our “tour” of several open clusters; many of them were Messiers. The icing on the “cake” was a view of M42 in Orion, with the Trapezium….My favourite was M103, the Christmas Tree cluster – in the constellation of Cassiopeia. Very pretty through the ‘scope. Thanks to John, Sherry and Chris for organizing it; also a good commentary shared on each target!! Ready to target another Messier. About ten of us came up to the Dome to enjoy the show. The weather was clear for this total Lunar Eclipse. 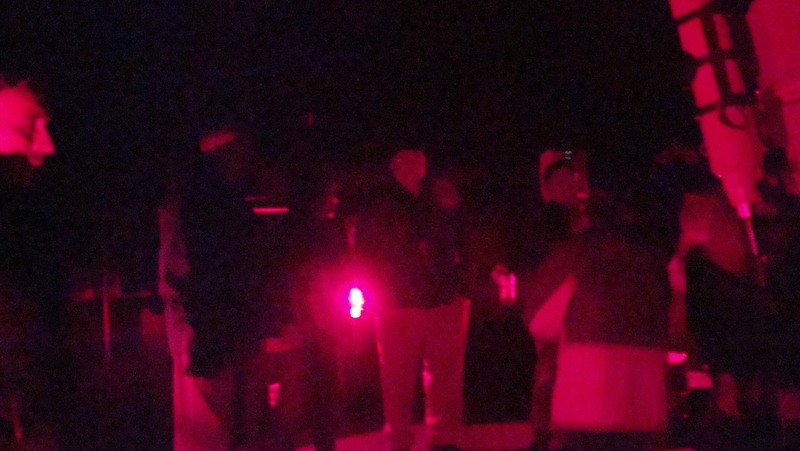 RASC Victoria Centre members were observing from various locations around Victoria, including Cattle Point, Mt. Tolmie, Clover Point, and Esquimalt Lagoon. It was a beautiful clear Sunday night with mild temperatures, so thousands of members of the public came out to see the apparition as the Moon rose in the east around 7PM. Many missed the first minutes of the eclipse since the Moon was obscured by low clouds along the SE horizon, however once it cleared the clouds, it was a spectacular sight! By 9PM, the show was over and police at the various locations directed traffic as people returned home. Several of our members captures excellent photos. Please browse the gallery or watch the slideshow below. On Sunday, September 27th, weather willing, we will be able to view a total eclipse of the Moon. The Moon rises already in partial eclipse as the Sun sets just after 7 pm PDT. After reaching totality the Moon will gradually regain its brightness over the course of 3 hours. It’s a perfect opportunity to capture some snapshots of the event. Read further to find out what happens during the eclipse and how to capture it photographically. This will be the last total Lunar Eclipse visible in North America until January 2018! Above Eclipse times are for Pacific Daylight Saving Time (PDT) for the west coast of North America. Find yourself a location that has a clear horizon view of the east especially if you wish to view during the early stages. 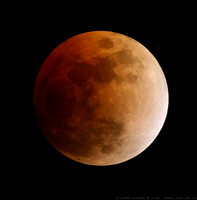 The Total Lunar Eclipse of 2008 was very similar to this one in 2015. Here is the online gallery of some of our members’ photos of that event. I have produced a short video of the International Space Station going over the Victoria Centre Observatory on the 12th of April. The track starts near Pleiades and goes almost through Polaris as it arcs over the VCO. ISS over VCO from RASC Victoria Centre on Vimeo. This video shows a pass of the International Space Station over the Victoria Centre Observatory on April 12, 2014. The first frame shows the ISS just past Pleiades. From there it goes on to pass very close to Polaris then exits stage right. The Messier Marathon from Victoria was a bust this year. Both March 28 and 29 were cloudy, so it was called off. Hello, all, from sunny New Mexico. My friend Lesa and I successfully completed the Messier Marathon. The weather was great, the skies dark. 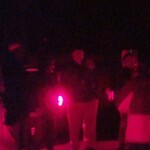 We especially enjoyed watching the summer Milky Way rising in the early morning. From here, all of Scorpio is visible, and Sagitarius is glorious. The most difficult part was the beginning, 77, 74, 33, 31, 32, 110 were low in the west and only just visible. We are delighted with our results! We would like to highlight the exceptional work accomplished by one of our members. As you may know Michel Michaud has been busy photographing stars in the Pleiades. 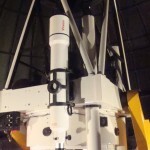 Last year Michel submitted a paper titled “Double Star Measurements in the Pleiades Cluster Using a DSLR Camera” to the University of South Alabama. This paper was subsequently published in the October 2012 edition of the Journal of Double Star Observations.